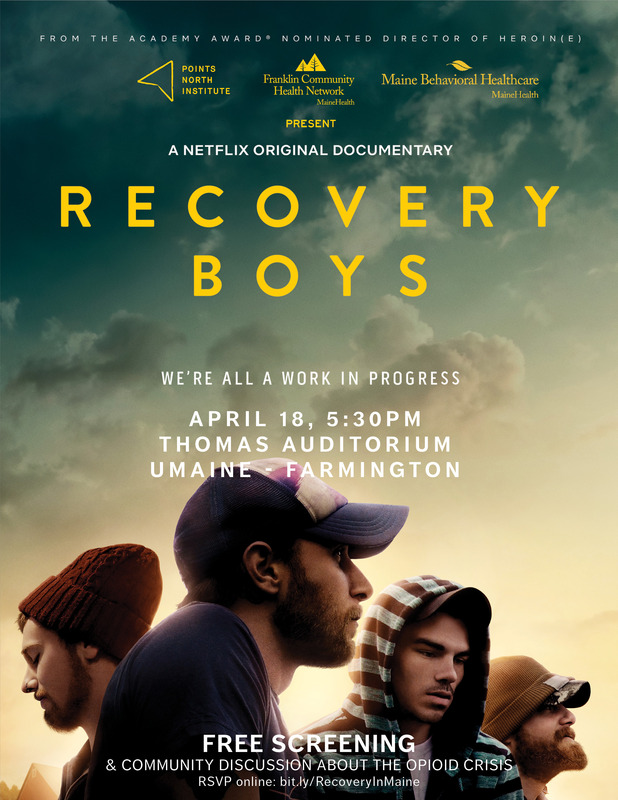 FARMINGTON - Points North Institute, along with support from MaineHealth and its family organizations, Franklin Community Health Network and Maine Behavioral Healthcare, are partnering to organize a free film screening and community discussion about the ongoing opioid crisis in Maine and across the nation on Thursday, April 18, at 5:30 p.m. in the Thomas Auditorium at the University of Maine Farmington campus. Those interested in attending the April 18 event are asked to RSVP online in advance at bit.ly/RecoveryInMaine (case sensitive). The auditorium is located between Ricker and Preble Halls on High Street in Farmington.